A framed print “Autumn Mozaic” was donated in August, 2016 by the Richard Steele Gallery, as has been done for the last number of years. 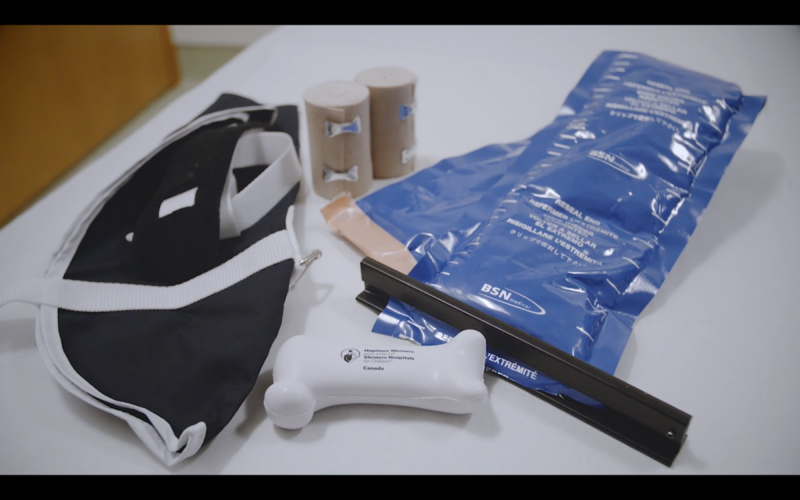 Special thanks goes to Richard Steele for the kind donation and continued support. 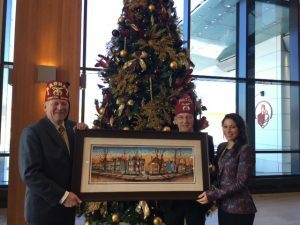 Tickets were sold at many of the Shrine Club visit in Newfoundland and Labrador as well as at the annual Mazol Shriners Golf Tournament. At this golf tournament there was a member of the Montreal Hospital Board, Noble David Merritt. He bought several tickets on this print and to his surprise was the winner. 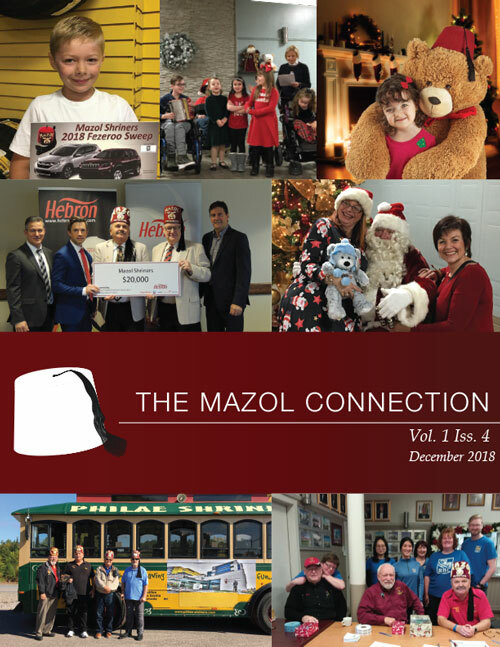 By selling tickets on this print, Mazol Shriners raised $1,000 for the Patient Transportation Fund. The painting was presented (see picture below) by Ill. Sir Roger Tinkham P.P. 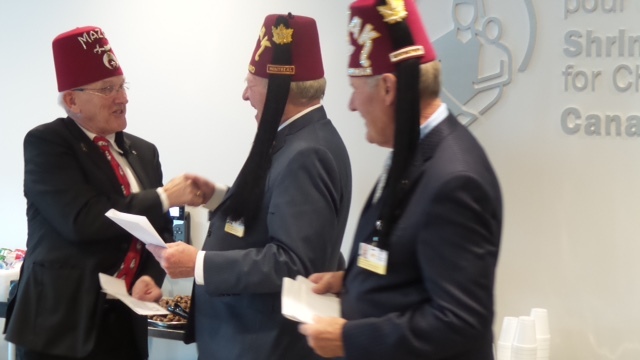 to Noble David Merritt during his recent visit to the Shriners Hospital for Children in Montreal. Ill. Sir Roger Tinkham presented cheques (picture below) to the hospital Board for the Research Department towards the purchase of a Micro Mini CT Scanner. Mazol Shriners of Newfoundland and Labrador voted to contribute $25,000 along with another $10000 from the Long Range Shrine Club and $5000 from Trinity Conception Shrine Club. 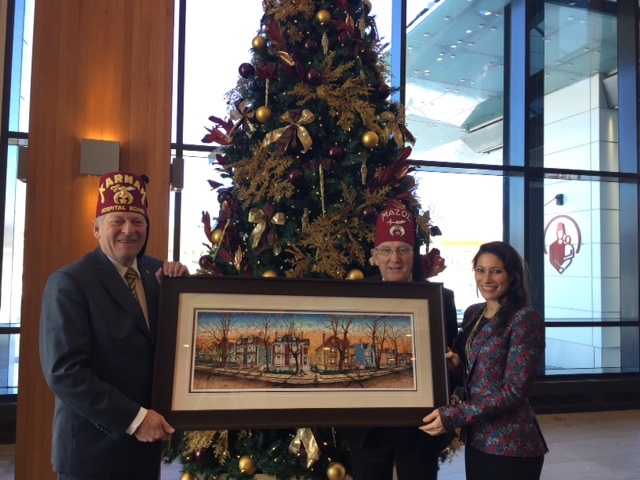 See the Facebook post below from the official Shriners International Facebook page! 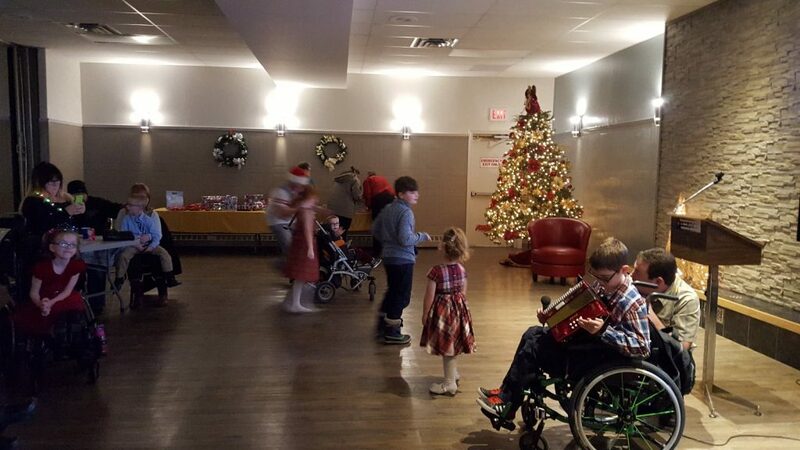 On December 11th, 2016, the St. John’s Shrine Club held its annual children’s Christmas Party for Mazol Shriners’ kids, their siblings and families. 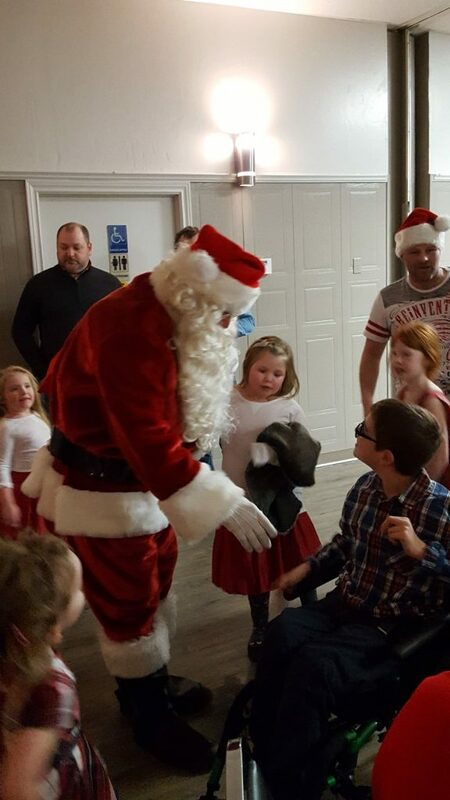 It was a great turnout and even Santa joined in the festivities.